I started this with a little bit of skepticism. I love historical stories, but this one is ancient times historical so I was a little put off. Nothing could have prepared me for how much I enjoyed it, though. Livia is barely a teenager when her father pretty much gives her to his friend to marry. I was more than disgusted at that, but things like that happened...and still do for that matter. But Livia took everything in stride and became the wife of someone more than twice her age. In return her family was safe for a while after Caesar's death. The story takes place over the course of Livia's marriage, the birth of her children, and the rise and fall of an empire. She is smart and strong and does not waiver in her beliefs. That is the main reason I loved this book so much. 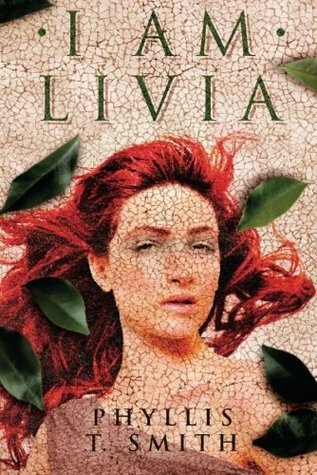 Livia is a woman in Rome, a place where women are not exactly celebrated and in a time where men rule everything. Livia is intelligent in almost a conniving way. She listens and observes and knows what to tell her husband(s). There is definitely romance in this story, though not in the way I was expecting it. The biggest part of me was glad that Livia remained faithful to her first husband. I think I would have felt much different about her had she carried on an affair with Tavius, a person I came to adore as much as Livia did. The last fifteen or so percent of the book had be worried. I'm not well-versed in Roman history and I almost stopped to Google some things before carrying on. I was happy with the ending (that had already been written thousands of years ago *insert laughing/crying emoji here*). I almost wished that things had been different for Livia and Tavius but I know that it shaped them both for what needed to be done. Definitely check this out if you're into history and strong women.